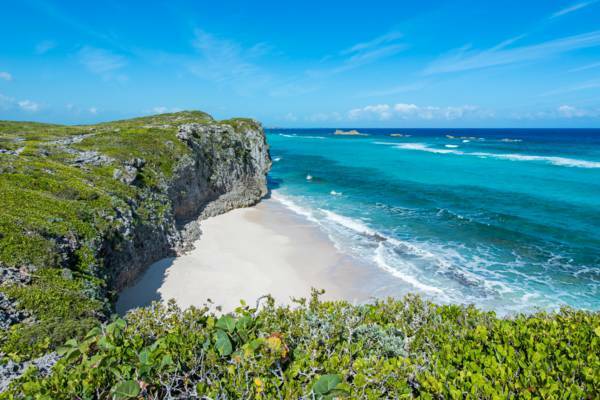 The perfect islands for the adventurous, North Caicos and Middle Caicos offer deserted coastlines, ocean cliffs and caves to be explored. 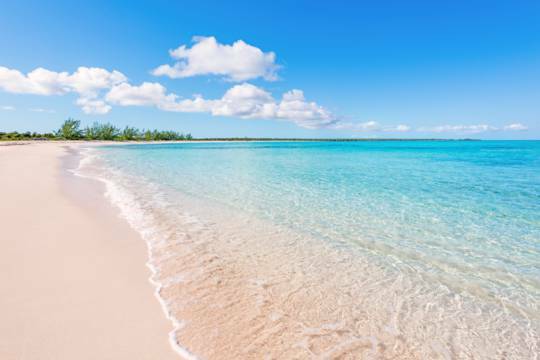 Having seen very little development, these two islands conspicuously lack the bustle of Providenciales and Grand Turk, and you’ll often have miles of beautiful beach to yourself. As North Caicos and Middle Caicos get the most rainfall of all the islands in the country, trees tend to be taller (the grass definitely is greener! 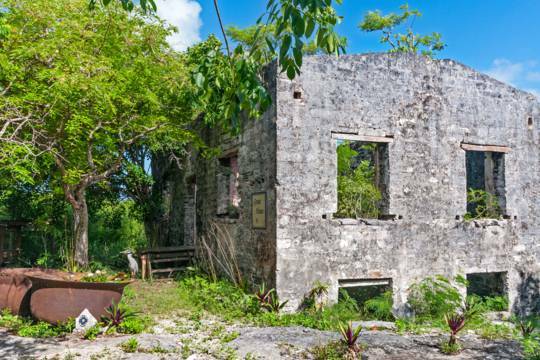 ), and ruins of what used to be some of the largest plantations in the Turks and Caicos can still be found hidden in the dense vegetation. 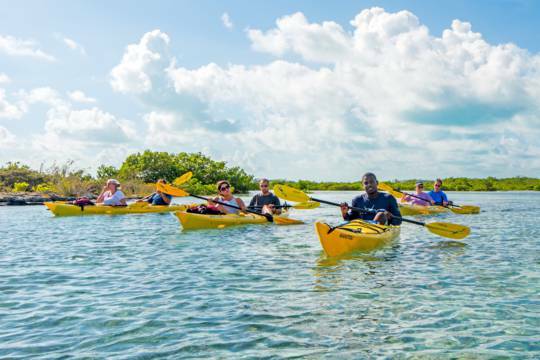 Amazing settings for kayaking and stand up paddle boarding, the sheltered mangrove channels, lagoons and waterways of North and Middle Caicos are incredibly scenic. North Caicos and Middle Caicos are best discovered on your own. Many interesting sights are only a quick stop off the main road that travels through both islands. Simply look over our list of beaches and attractions, decide what you want to see, and begin your journey. Amazing beaches await. There’s the iconic Mudjin Harbour, Bambarra Beach, Whitby Beach, Sandy Point, Hollywood Beach, and the remote yet spectacular Cedar Point. 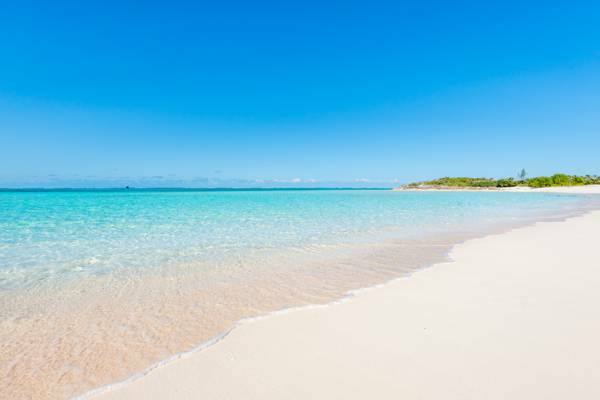 The beaches of North Caicos and Middle Caicos are not quite as extensive as the world famous Grace Bay Beach on Providenciales, yet the tranquil seclusion is unmatched. Norbellis Coves on the Crossing Place Trail, Middle Caicos. 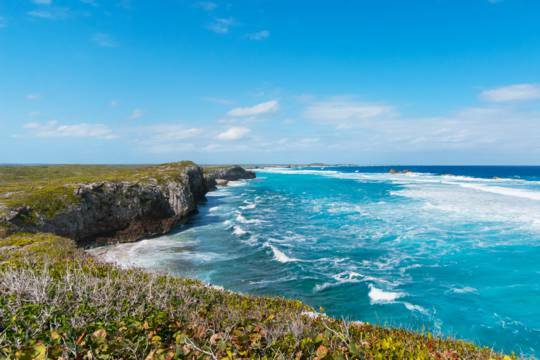 North Caicos and Middle Caicos present the all-too-rare opportunity of largely uninhabited Caribbean islands that are safe and easy to discover by vehicle. Back roads lead to countless spectacular beach, coast and wetland sights. 4x4 vehicles and jeeps are the best for exploring the outback, yet are not necessary. Most roads, including unpaved routes, are in good condition, so it’s possible to reach nearly all destinations in any rental vehicle. Due to the lack of public transport on North Caicos and Middle Caicos, we highly advise that guests rent a car or jeep for the duration of their vacation on the Garden Islands. Vehicle rentals are easy to book, and can be picked up and dropped off at the ferry docks or airports for convenience. 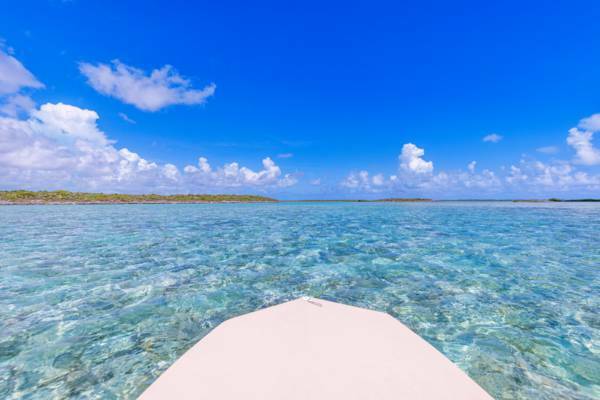 Exploring the cays around North Caicos and Middle Caicos by boat. Although North Caicos and Middle Caicos don’t have the established water sports and boat tour businesses that can be found on Providenciales and Grand Turk, it’s always possible to charter private excursions on the water. Boat cruises can be arranged either from North Caicos and Middle Caicos, or a custom tour can be booked from Providenciales. 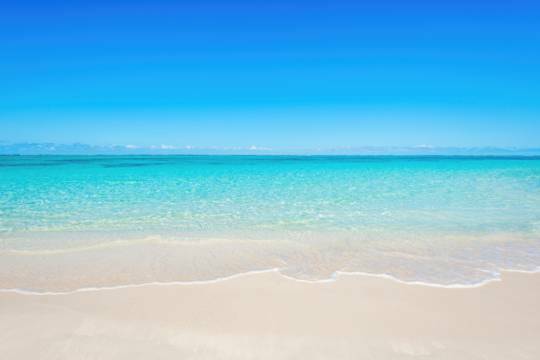 No matter where you’re staying in the Turks and Caicos Islands, an excursion on the water is one of our recommended top things to do. The central Caicos cays are an amazing environment for exploring. There’s Bottle Creek Lagoon, the East Bay Islands National Park, the Ramsar Nature Reserve, and dozens of incredible and uninhabited cays, many of which are home to breath-taking beaches. The limestone cliffs and beaches of Mudjin Harbour. Bonefishing and bottom fishing are likewise great. The shallows that lead off the southern sides of the Caicos Islands offer world-class flats fishing, with bonefish, tarpon, and barracuda. There’s also conch and lobster fishing with snorkel gear – an exciting way to catch dinner. 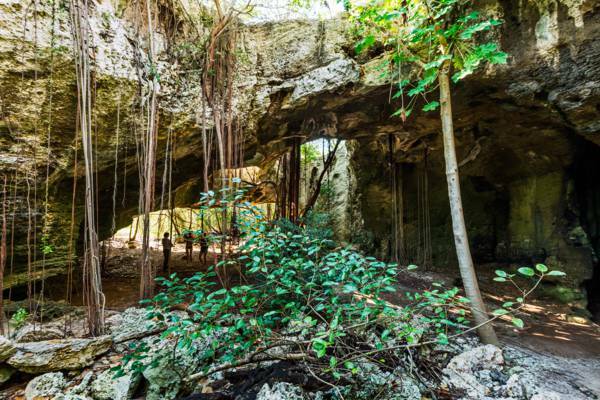 Some of the best hiking routes in the Turks and Caicos are found on these islands. The Crossing Place Trail is the main developed path, yet fascinating and beautiful uncharted routes can be explored on the remote coastlines and wetlands. Such sites include the open Haulover Point salt flats and the flotsam-covered Wild Cow Run. 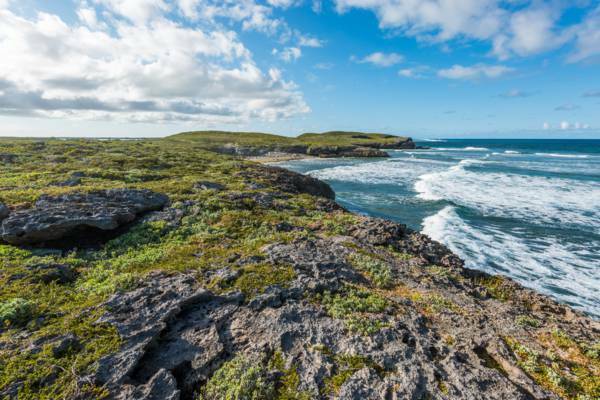 Wade’s Green on North Caicos and the wild and remote Haulover Plantation on Middle Caicos offer an insight into the Loyalist past of the Caicos Islands. Both are interesting sights. Wade’s Green is definitely the best-preserved and is quite extensive. Haulover Plantation, overgrown and isolated, is much more of an adventure to find. Created by the Karst process of dissolution, several of the best cave and blue hole sights in the Turks and Caicos are found on these two island. 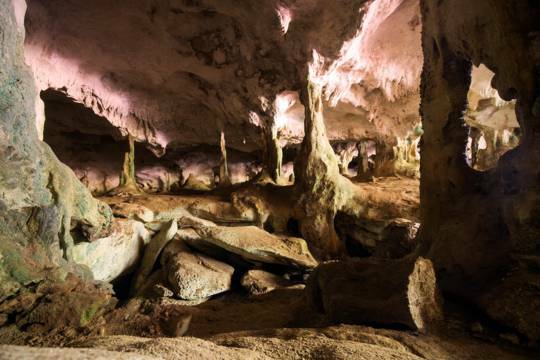 Conch Bar Caves and Indian Cave are two scenic dry cave systems that are open to the public, and Cottage Pond is a tranquil inland 260 foot deep blue hole and underwater cave. Although not a tourist destination and quite inaccessible, the Middle Caicos Ocean Hole is likely the widest blue hole on the planet.